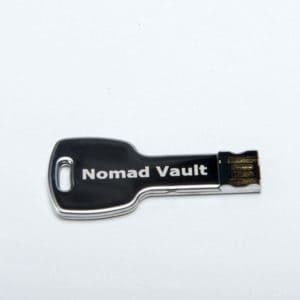 Simple and effective solution to protect and all your data. You will be the only one able to read the encrypted files. 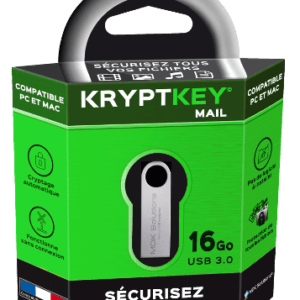 KryptKey Essential, the encryption solution for everyone. You are a professional or an individual. You create, edit, and share a huge amount of files everyday. You have realised how sensible the data you hold is. And you are looking for a way to protect this data. The solution that will allow you to do so is encryption. 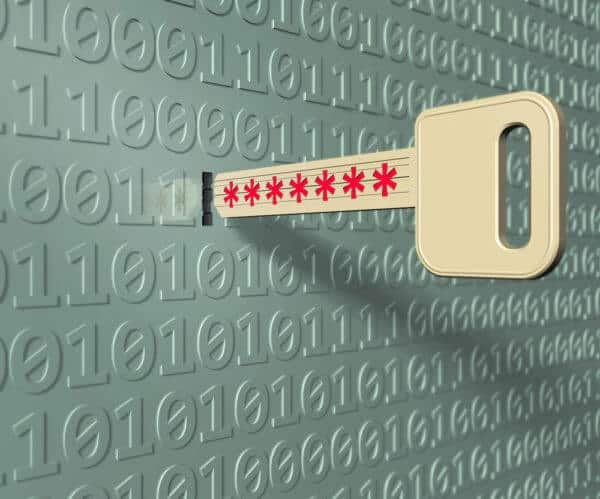 Encryption allows your data to be unreadable unless you hold the key that allows you to decrypt it. 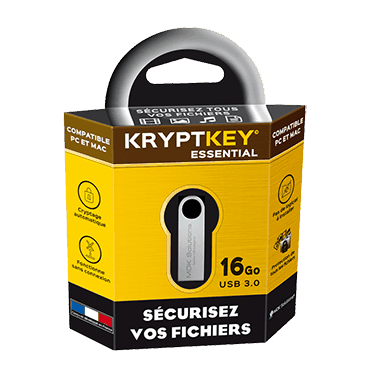 KryptKey Essential is this key : it allows you to encrypt your data to secure its content, and to decrypt it when you, and only you, are accessing it, so that you can use it. 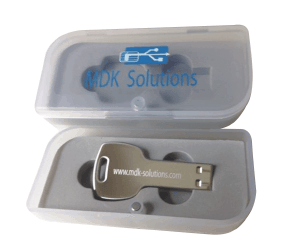 It is compatible with PCs and Macs. 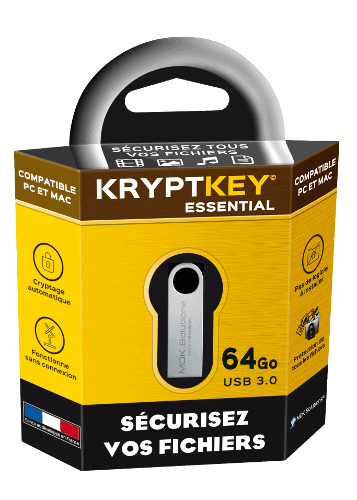 Auto encryption : every file created or moved to the KryptKey Essential drive are automatically encrypted. How does KryptKey Essential work ? Click here to access our utilisation Guide for KryptKey. 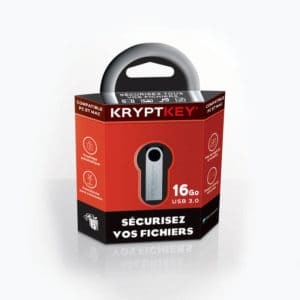 KryptKey automatically protects all types of files, without any install needed. It is robust and can be attached to a keychain.